These days RIT is truly a global campus. Not only does the university have five international campuses, it also boasts an international student population of nearly 2,700 hailing from 95 countries. When Venkat “Puru” Purushotham ’81, ’82 (graphic communications, imaging science), president and owner of Jyoshan Inc., attended, though, there were only about 30 international students on RIT’s campus. A serial entrepreneur from a young age, Purushotham used this skillset to help grow the international presence at RIT. Over the course of three years, Purushotham joined forces with classmates from China, Switzerland, Indonesia and Iran and created international programming, as well as established the RIT International Student Services Office. After RIT, Purushotham applied the learnings he gained building the university’s international programs to Eastman Kodak. While there, he created strategic partnerships with businesses in Europe, Israel and Japan. These accomplishments lead Purushotham to found NexPress Solutions in 1997, a joint venture with Kodak and Heidelberg Druckmaschinen, a German company. The result produced world-class digital color printing systems and revenues of over $300 million in just six years. 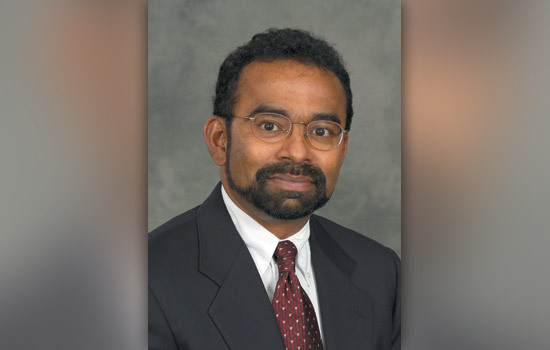 Purushotham will be honored as the College of Science 2017 Distinguished Alumnus on Oct. 13 at the RIT Presidents’ Alumni Ball. The Distinguished Alumni Award is presented to a certified alumnus/a who has performed with distinction at the highest levels of his or her chosen profession or who has contributed significantly to the advancement and leadership of noteworthy civic, philanthropic or service organizations over the course of many years. Those honored have brought distinction to their colleges and RIT through their professional, community and/or philanthropic achievements.